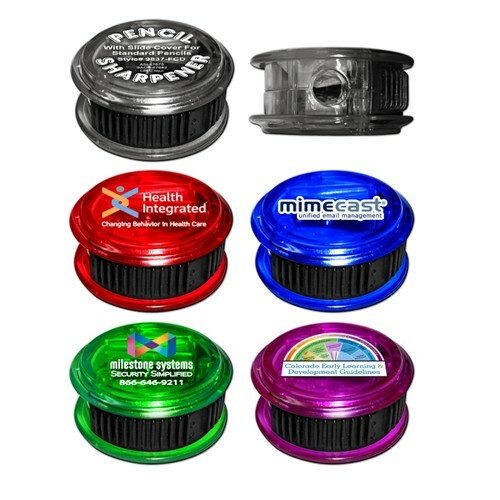 Our Round Pencil Sharpeners feature translucent colored housings with sliding covers that open to reveal the sharpener. Full Color Decals are digitally printed and can accommodate multi-color imprints and even four color process logos. Color Selection: Translucent Black, Translucent Green, Translucent Blue & Translucent Red and Translucent Purple.